There are only 14 seats remaining. Buy soon! This Trip is a GREAT GIFT for Mother Days and also, a great for Bachelorette groups, Girls day out, Couples, Mom & Daughter Getaway! 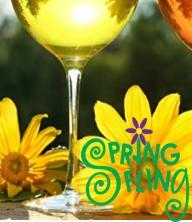 Join Paulson Tours for our Spring Fling Wine and Beer thing trip! Enjoy a tour filled with Wine and Beer tastings, fabulous food and plenty of fun! This tour includes Optional AWESOME BRUNCH at Historic Belhurst Castle! Attention: We are assigning seating on the motor coach. Put one of the following choices in the comment box when ordering. We will do our best to accommodate everyone. Also, mention all friends names that are under a different reservation in the comment box or when ordering over the phone. We will get everyone on the same bus and seated together at Dinner. Thank you! For the prices or to book this trip, go to the bottom of this page and click on "Complete Bus Package" and than scroll down to the bottom. You can also call 570-706-8687. Wineries which include Wine and Beer tastings! Three Brothers Winery and Estate - Three Brothers Estates is an amazing experience dedicated to passion, pleasure & adventure. With 3 different wineries (Passion Feet—for the Girls, Bagg & Dare—for the Boys, Stony Lonesome– for both), a microbrewery and a root beer distillery all on one estate, this is one property you will surely enjoy.